Q: How did you get started with emergency medical services? A: Staccie Allen: I graduated from the University of Florida with a degree in finance and management and a minor in health science education. I thought I would go into hospital administration. While in school, I worked in Alachua General Hospital’s emergency department, and they did a lot of clinical on-the-job training. Upon graduation, I obtained a position as a budget analyst, but I still kept the tech position on weekends. I found that I was enjoying the tech position much more than my other position. One night, two ShandsCair employees came to pick up a really sick patient. I remember being drawn to the way they stabilized the patient, prepared the patient for transport and got them off to definitive care. I told my husband this is what I wanted to do. ShandsCair was a one-helicopter program and he made jokes that someone has to retire to get a job there, and I said, “No, no, I’m going to do this.” I went back to nursing school knowing that I wanted to fly for ShandsCair. Q: What drew you to working with ShandsCair? A: Allen: ShandsCair was nationally known as the top transport quality provider in the area. Its affiliation and partnership with UF Health gave it the opportunity to deliver the highest-quality care and more complex care. What drew me to ShandsCair was not only the people who were working here and the family atmosphere, but also the ability for the program to transport some of the sickest patients I had ever encountered. It’s amazing what these clinicians do together for patients and families. To get them here, to deliver them in better condition than they were when we picked them up, it’s amazing to me. Q: What does ShandsCair mean to you? A: Allen: It’s my heart and soul. Family. High quality. Safety. Those are some of the top things that come to my mind. The ability to make a difference in a patient’s life. Q: What excites you about the future of the program? A: Allen: We’re about to embark on unprecedented growth again. We may have the opportunity to more than double the program size in the next year, and that’s enormous growth in this industry. Ultimately this expansion will help patients get to definitive care quicker, and that’s going to make a difference in their live. Q: What have your responsibilities been in the past and what are they currently at ShandsCair? 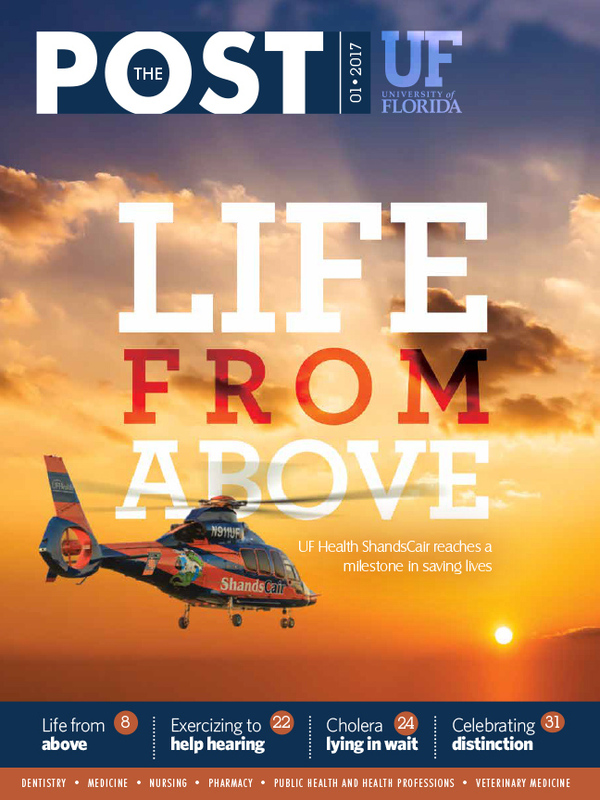 A: Allen: I worked in the surgical intensive care unit at UF Health when it was a joint unit, which gave me an incredible basis for taking care of complex patients. I also worked in several emergency departments and as a ground paramedic for Bradford County. In 2005, I started working as a P.R.N. flight nurse/paramedic with ShandsCair and, in 2007, I was chosen to be a full-time flight nurse/paramedic. 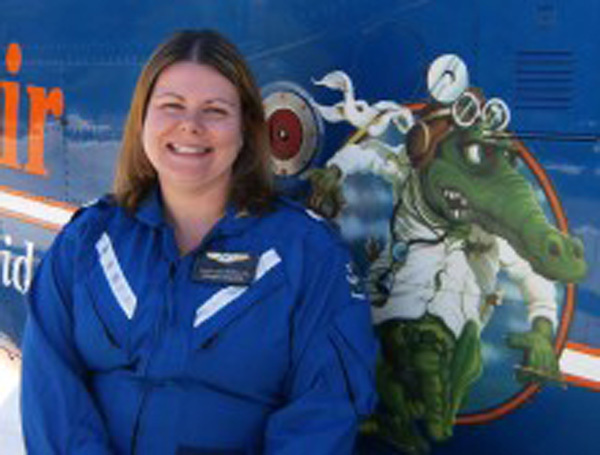 In 2009, I became the chief flight nurse. The program was under the director of trauma and aeromedical services. When that director left, they separated the services and decided to grow the program. In 2011, I had the opportunity to become the director. Back then, we were one helicopter, one fixed-wing and three ambulances. We are now three helicopters, two satellite bases, one fixed-wing and eight ambulances. We’ve also grown from about 45 people to over 130 people in the last several years. Today, my responsibilities include 24-hour accountability for the program’s operations and strategic planning. Q: What is the most interesting and challenging part of your job? A: Allen: It’s something new every single day. For example, never in a million years did I think I would lead a project to purchase a helicopter. You’d think it’s like purchasing a car — it’s nothing like that. When you take delivery of a helicopter, there are many things that you didn’t know previously that you go through, and if there are any bugs to work out in the first 100 hours, it’s all regulated. That was a tremendous challenge for me, learning the ins and outs of effectively purchasing and delivering an aircraft. Q: What message do you want to send to the community about ShandsCair? A: Allen: We’re so honored to have served the community for the past 35 years, and to have the support of UF Health gives us the ability to continue serving the community. Every person at ShandsCair is invested in making somebody else’s day better. Every single person here is 100 percent committed to taking the very best care of every patient and family we encounter.